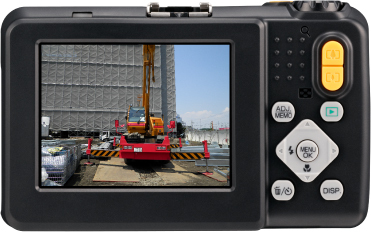 The G700SE has a large 3.0-inch 920,000-dot high-definition picture display. The wide angle and high contrast give high visibility even outdoors. 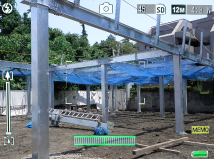 For level shooting, an electronic level is provided as a standard feature. 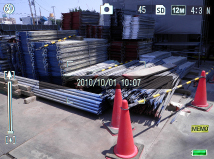 It enables you to hold the camera in an accurate level position when shooting subjects such as buildings and interiors. Date information is indispensible when creating photographic records. By displaying the date from the time the camera is turned on until the shutter release button is pressed, this function helps prevent time data errors caused by incorrect date/time settings.